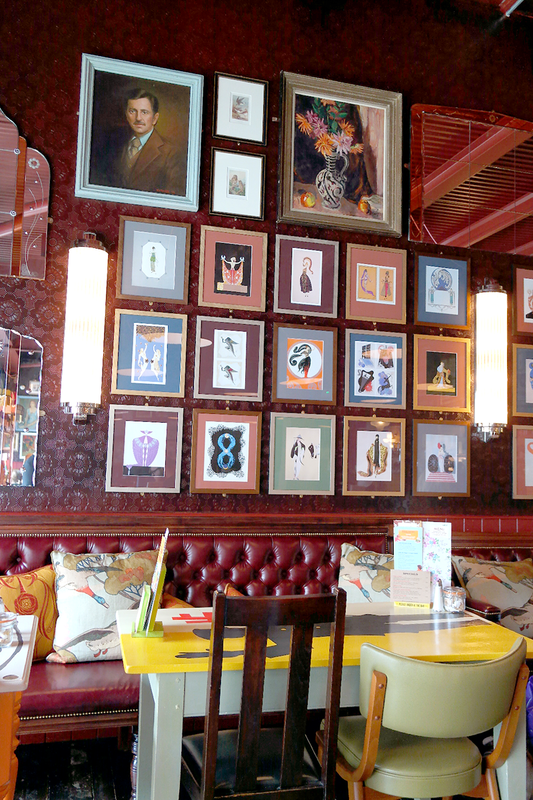 CENTRO LOUNGE LOUGHBOROUGH REVIEW - Sugar, Darling? I'm one of those people that has never moved away from their hometown, or at least no further than a ten minute drive away. Far from that being a bit lame it's actually because I feel very lucky to live here in beautiful Leicestershire, and although my hometown of Loughborough isn't as cool and bustling as a metropolitan city it has always served me well with it's little vintage shops, art shops, large library and a lovely big park. I lived in various houses around the centre of town from the age of nine until just last year so it's safe to say I know the place like the back of my hand and although there are a good few restaurants I'd happily visit again and again it's always nice to have somewhere new to try. I have to admit that when I heard that an old Victorian hospital was being torn down to make way for a new leisure development I wasn't too thrilled, partly because I do love old buildings (especially creepy ones), partly because I'm a supporter of independent businesses and partly because it was right behind my house at the time and was going to be very noisy - priorities huh?! The development called City Grove has been well done I must say, and hopefully it is that little bit out of town to still let the independent restaurants survive, the chain places also being very different to the indies in the town. The place that I was most keen to try at the new development was Centro Lounge which is owned by the same company as the Cosy Club chain of restaurants which I have heard good things about. It was lovely then when we arranged for Pete and I to pay them a visit to do a review. We turned up at 1pm on a Saturday and were welcomed by a very friendly team who explained you can just choose your own seat, peruse the menu at your leisure and then order your drinks and food at the bar as you would at a pub. 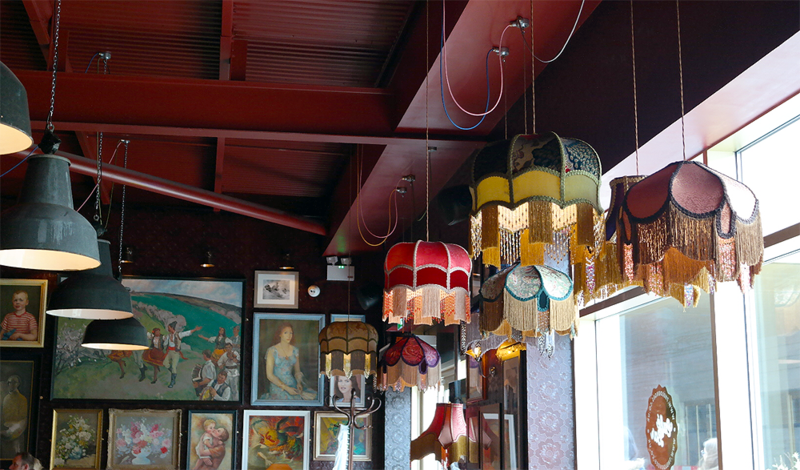 Relaxed really is the theme to Centro Lounge - the decor is very vintage chic with furniture, lighting and art from every decade of the 21st Century stocked well with board games and other fun things that aid a nice relaxing afternoon with friends. I found the fake cakes on the bar a bit bizarre but they were kitschy cute and if they are ever to sell some of their art deco column lights I bagsy first dibs! First up we ordered some drinks. It was a lovely hot day and so some ice cold soft cocktails seemed the ideal thing. I went for the Watermelon Iced Tea, a blend of watermelon syrup, lemon juice and iced tea topped with soda. If you know me then you know that I'm a sucker for watermelon flavour anything and so I was really excited about this one and it was lovely and refreshing, but it just didn't have as strong a watermelon flavour as I would have liked being more like a fresh lemonade with a back note of tea. 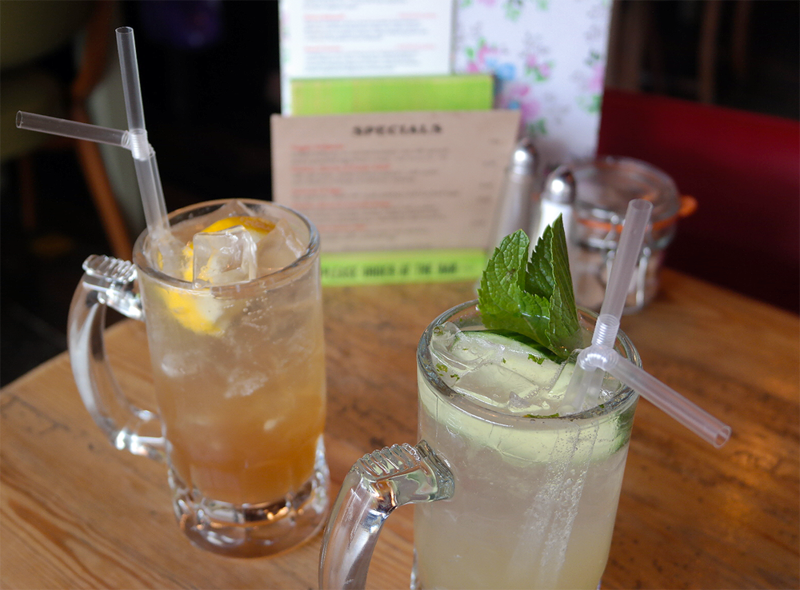 Pete went for the Cooling Lemonade which was soda water flavoured with lemon juice, sugar syrup, fresh mint and cucumber. Again this was a perfect zingy fresh drink for a hot day, nice and tart and not overly sweetened. This is the kind of thing you could make a huge jug of and sip away at over an afternoon in the garden - lush! 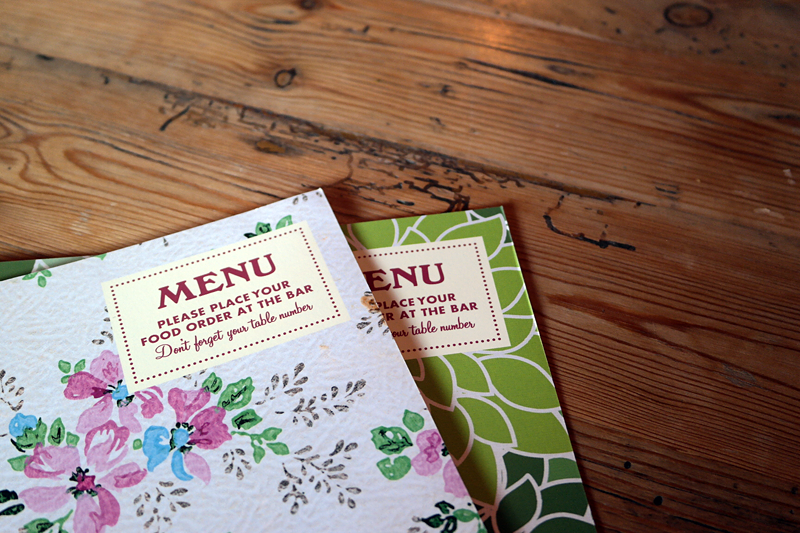 We browsed our menus and after quite a while trying to decide what we would go for we ordered our meals. 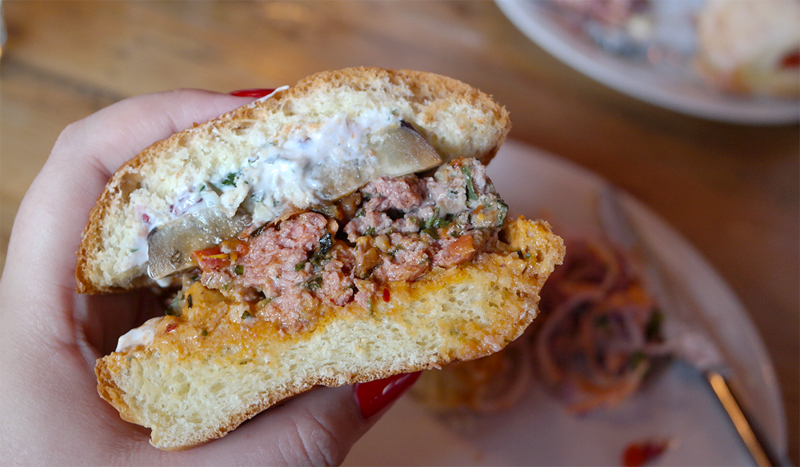 I decided to try the Lamb Burger (£10.50) which was topped with with harissa hummus, a big thick slice of roasted aubergine, a slather of tzatziki and a sprinkling of pomegranate seeds. Alongside was the house slaw and I chose to try the sweet potato fries. The burger was really really lovely, I would say one of the best that I've had in a restaurant. As you can see from the photos the burger was nice and juicy and pink and studded with herbs and the classic accompaniments of cool yoghurt, mint, cucumber and rich hummus worked together perfectly, especially when you got the off pop of pomegranate in there too. The bun was brioche and was nice and soft although a teensy bit dry, but I would rather this than a stodgy bun that overpowers the flavour of the burger itself. The house slaw was lovely and bright - carrot, red onion and red cabbage dressed with a light creamy dressing and chopped coriander. Not the usual mayo fest that is served in most restaurants, this contrasted with the rich lamb and fried sweet potatoes perfectly. Speaking of the fries, they were wonderfully crisp but sadly didn't pack as much flavour as hoped - I think a bit of flavoured salt like a rosemary sea salt and a dash of vinegar would knock them up a notch. 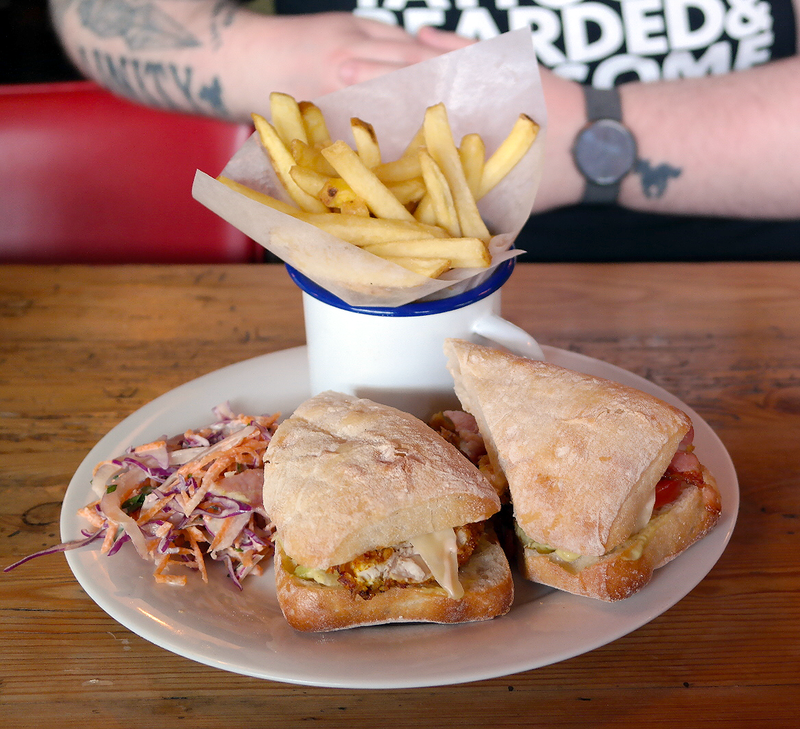 Pete went for the Twisted Chicken Club Ciabatta (£6.95). This was a generously sized ciabatta roll stuffed with fried breaded chicken, bacon, emmental cheese, guacamole, chipotle mayonnaise, tomato and spinach. 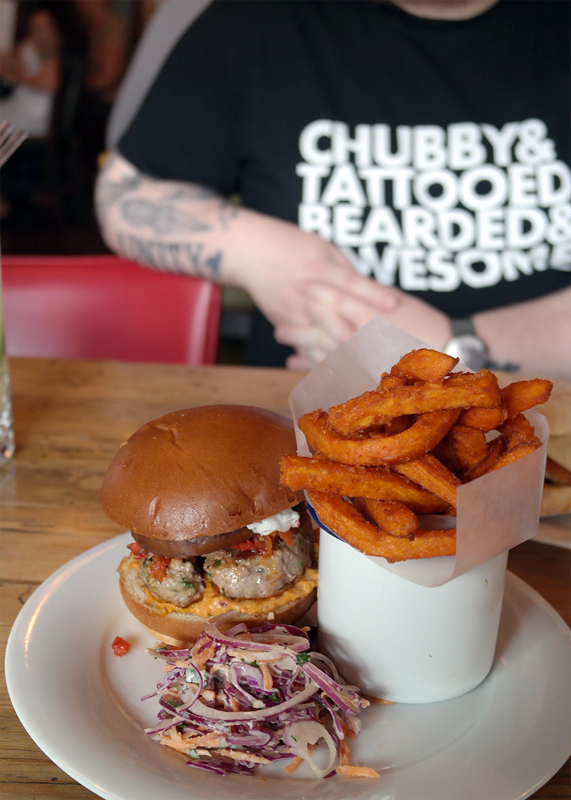 It's served with house slaw as standard and you can add fries for an extra £1.50 which of course he did. Pete said this was a really good sandwich and very very filling, the chicken being nice and moist and the bacon and cheese adding more layers of flavour against the spinach leaves and creamy guac. The roll wasn't too crusty either which I can find offputting about ciabatta sandwiches so a plus also for that! The fries that were served alongside were nice and crisp and clean tasting, i.e. you could tell the oil was fresh. They had their skins on which I love as I feel it adds more yummy spuddy flavour and they had nice fluffy interiors. All round good fries. We finished our meal with dessert despite already being quite full. One of Pete's absolute favourite things is Sticky Toffee Pudding (£4.95) and so it was no surprise that he went for that. 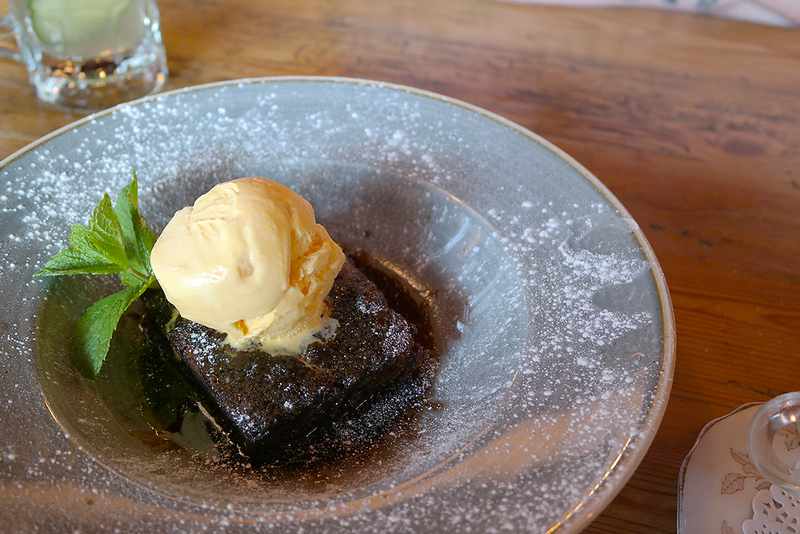 It was served with a generous scoop of vanilla ice cream and lots of warm butterscotch sauce. The sponge was soft and syrups and lightly spiced with ginger and cinnamon which was a nice twist that you don't see all that often. I don't think there were any dates in this version as it was quite a light sponge, but it was none the worse for this. 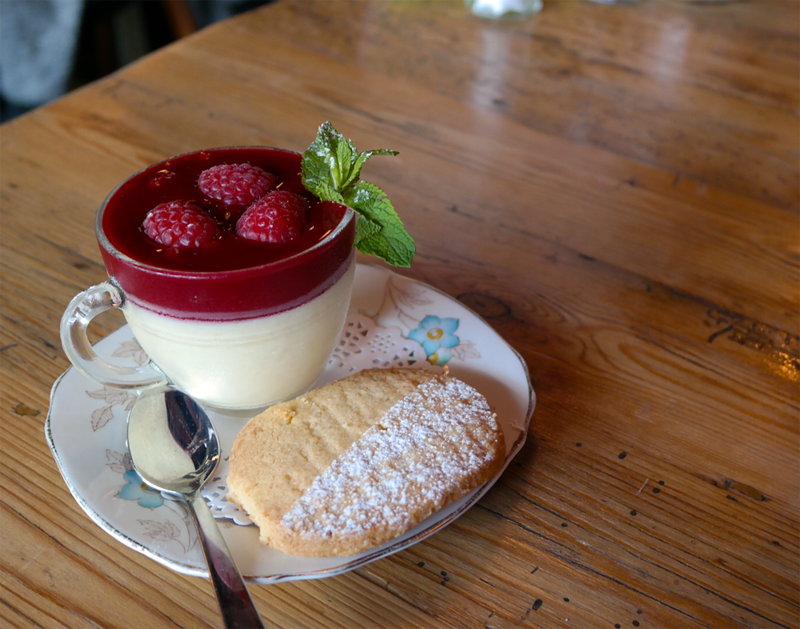 I opted for the Lemon Posset (£5.95) which was topped with coulis and some nice plump, fresh raspberries and came with a lovely big shortbread round which was still oven warm. I do love a posset and this was indeed a nice one. It had a good tang that hit your palette straight away and was followed by a lovely creaminess. I dipped the shortbread in the coulis and it was just heavenly, a wonderful cool end to the meal. We had a really enjoyable meal at Centro Lounge. Although there were a few things I might change it was overall lovely food and something different for Loughborough. The service was great although a little slow when it got busier but the staff were all wonderfully friendly and attentive and I would be happy to go back for lunch or cocktails again soon. I'm eyeing up their tapas menu next! *Our meal was complimentary in exchange for this review, however all content is original and my own and I am always 100% honest in my reviews. For more information head to my disclaimer page.